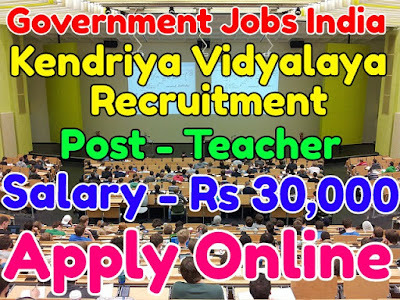 Kendriya Vidyalaya Recruitment Notification 2017 for Various Teacher Posts. 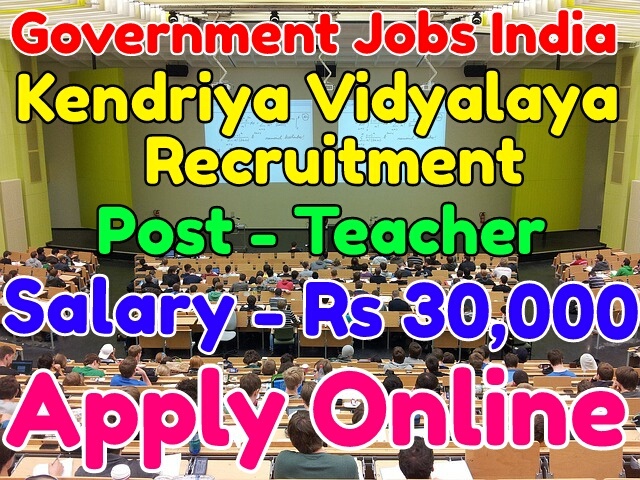 Kendriya Vidyalaya has published recruitment notification 2017 for various teacher posts. All legible and interested candidates have to attend walk in interview on (18-02-2017). Further more information about given posts is mentioned in detailed below. Kendriya Vidyalaya Recruitment Notification 2017 Detailed Information. Age Limit - For kendriya vidyalaya recruitment 2017, candidate age should must be less than 18 - 65 years. To know more about age details as post wise, click on detailed advertisement. Educational Qualifications for given posts - To apply for the mentioned posts, candidate should must have done 10th, 12th, graduation degree, B.E/B.Tech or its equivalent/ relevant/ higher qualification from a recognized board or university. How to Apply - All legible and interested candidates can download application form official website www.kvbarrackporeairforce.org or from given detailed advertisement. After downloading and filling the application form, candidates have to attend walk in interview on mentioned date with application form and needed testimonials(which is mentioned in detailed advertisement) to the given address. Important Note - Applicants have to attend walk in interview on (18-02-2017). Late arrival candidates will not be allowed for interview.